One of the more enjoyable aspects of my job is taking a brisk walk around the golf course just taking in all that I can observe. Besides tricking my body into exercise, it allows me to better look at things closer than I can driving around in a utility vehicle. Last week provided me with that first opportunity at Elcona. I liked what I saw, considering the harsh winter Mother Nature dolled out across the region. We have work to do, but I like our position compared to the other possibilities if we had not taken the measures we did. The vast majority of the turf on greens is in great shape. Our snow and ice removal plans worked to eliminate toxic gases from suffocating the turf. The plants also were still hardy enough to survive the cold temperatures that came after removal. Finally, thanks to having such a wonderful, dedicated staff, we kept up in managing the melting water from re-freezing on the turf and creating crown hydration injury. The picture above right shows another reason why we were able to eliminate as much standing water on the greens. The late season aerification Greg and his staff performed left open holes in the soil profile for the water to drain into, once the ground thawed out a bit. A couple of low areas suffered some crown hydration injury, but samples pulled from those areas showed growth and recovery after warming up in the shop for a couple of days. 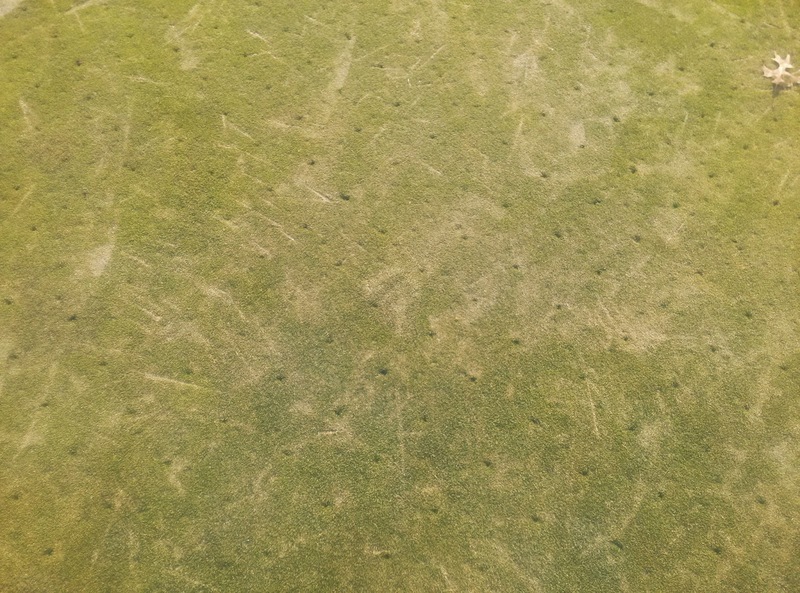 The picture of 5 green shows that we did have some superficial damage from our removal last month. 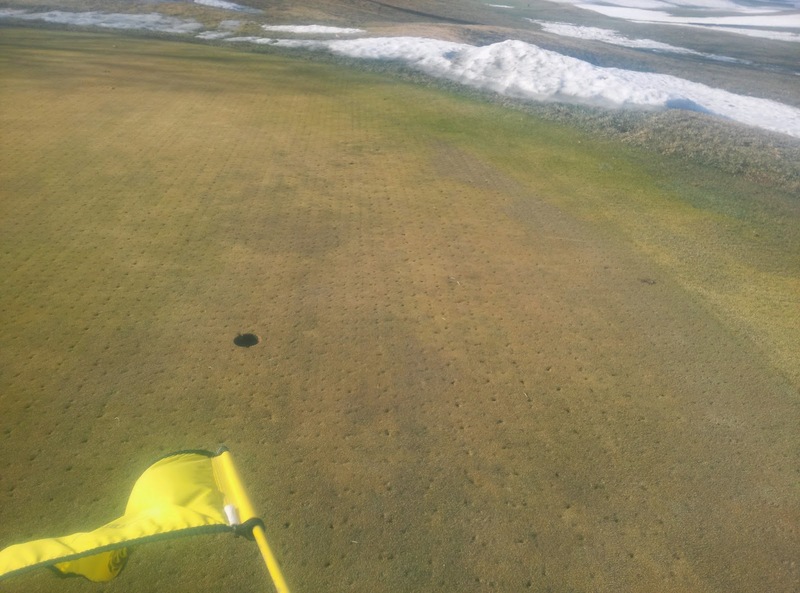 In moving slush and water off of the green profile, there was a fair amount of sand mixed in with it. That sand worked like sandpaper on a piece of wood, and caused some bruising of leaf tissue due to its abrasive nature. All of the sample plugs I have pulled out of this area have recovered, after a couple of days of warmth. It may look bad right now, but there is a fair amount of green leaf tissue underneath and the crowns are healthy still. Another example of winter injury I have observed is desiccation, and the picture on the left shows some on 9 green. This is a high point on the golf course and historically gets wind burnt and especially dry as the winter goes. Once again, the sample I pulled from this area greened up and started growing within a day or two inside. Once again, it looks bad but no real worries here! Finally, I have included a picture of area damage that we did in an effort to remove the thick ice that had accumulated on a couple greens. While it may look real bad, these will go away and fill in as the temperatures increase. We will be rolling a bit more in the next week, and lightly topdressing these areas to further smooth out and repair them. 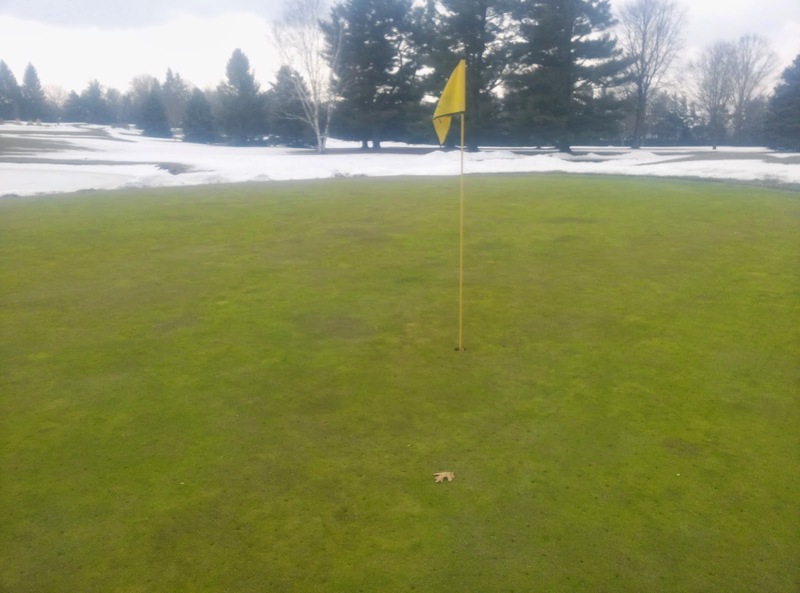 Some areas will need some plugs from our greens nursery to repair turf that was damaged by the snow removal equipment, and our staff will be acting on that quickly as well. 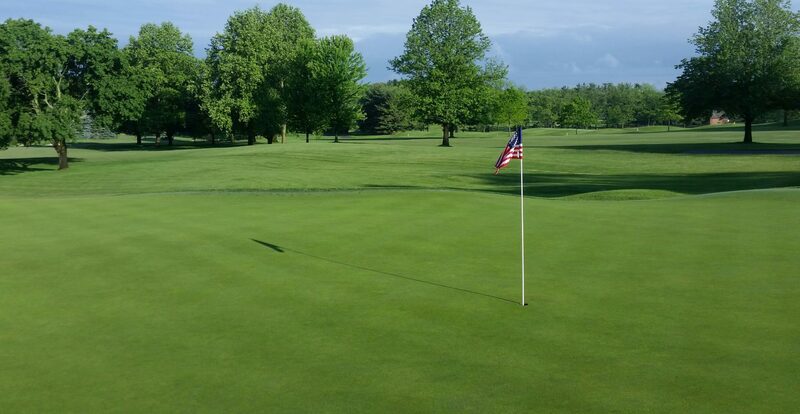 Over the next week, conditions will improve even more, and we will be able to begin our mowing and rolling routines on the golf course. Golf is near, and I could not be more excited to get the 2014 season started. I appreciate your patience and understanding while we get the golf course back into shape following the historic winter it experienced. In my mind, we experienced unprecedented conditions and had to take aggressive steps to prevent a more catastrophic result from happening. The Winter That Won’t Go Away..
Greetings from what seems to be the frozen tundra of Northern Indiana. It has been quite the roller coaster of a welcome for me here at Elcona. It is truly an honor to be a part of a club with its traditions and great members and staff. I come to Elcona after spending the last 7 years as the Golf Course Superintendent at Plymouth CC, about 50 minutes southwest from Elcona. 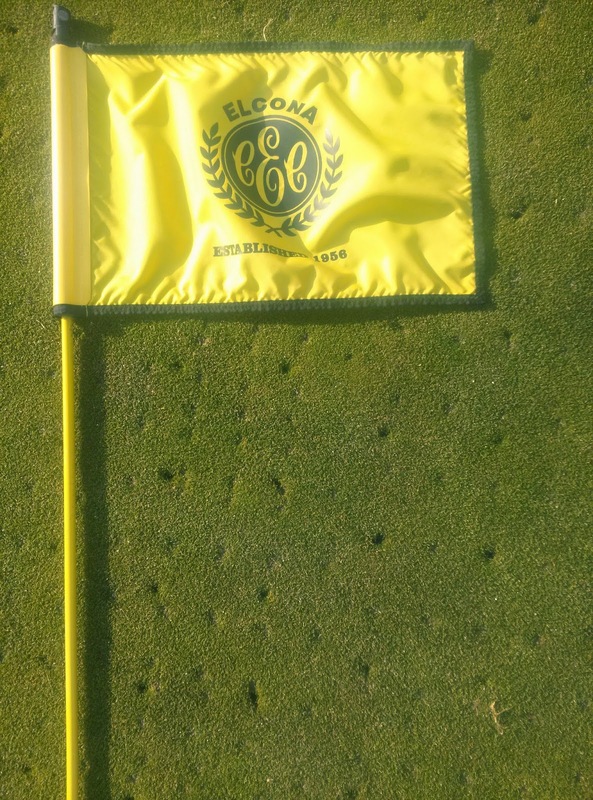 In 2005 and 2006, I was an assistant here at Elcona, so it is nice to have some familiarity with the staff, members, and golf course. I am a graduate of Purdue University with a degree in Turf Science. My wife and I have two children aged 4 and 2, and we are excited to become part of the community. 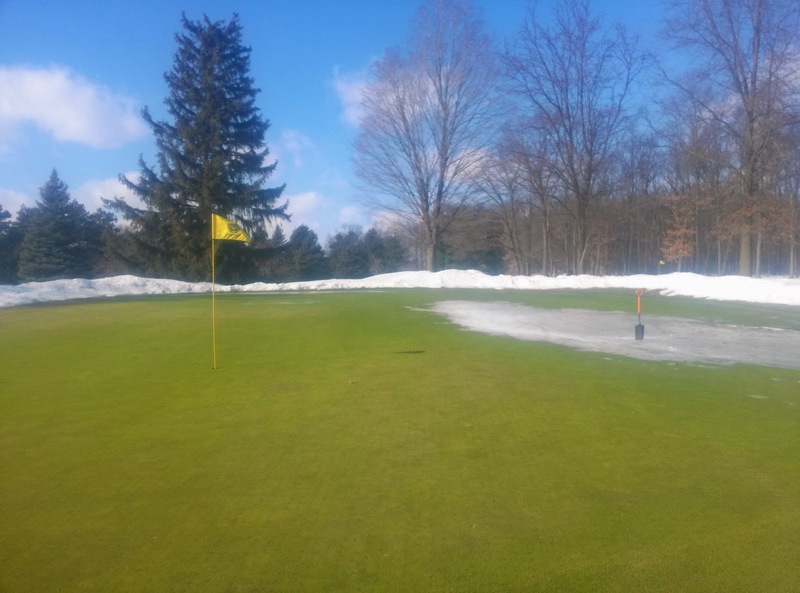 From Greg’s last post, you know that we have been busy clearing the ice layer that had formed on our greens, in an effort to prevent suffocation of the turf and some possible winterkill. 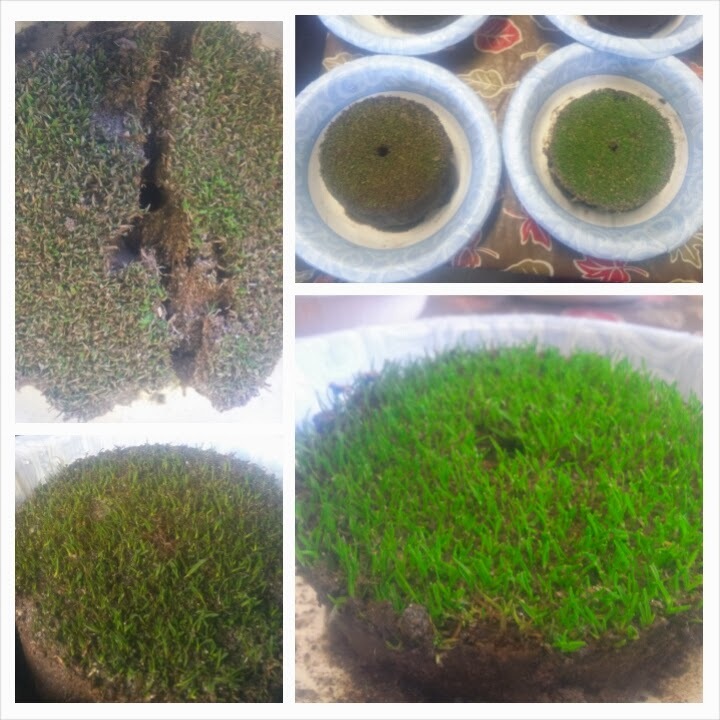 We also took a few samples from select greens and brought them inside for observations. To the right, you see samples at various days of thaw. The bottom right is a sample from hole #2 pulled on 2/21/14. The rest of the samples were pulled on 2/28/14, and they are already showing signs of progress. 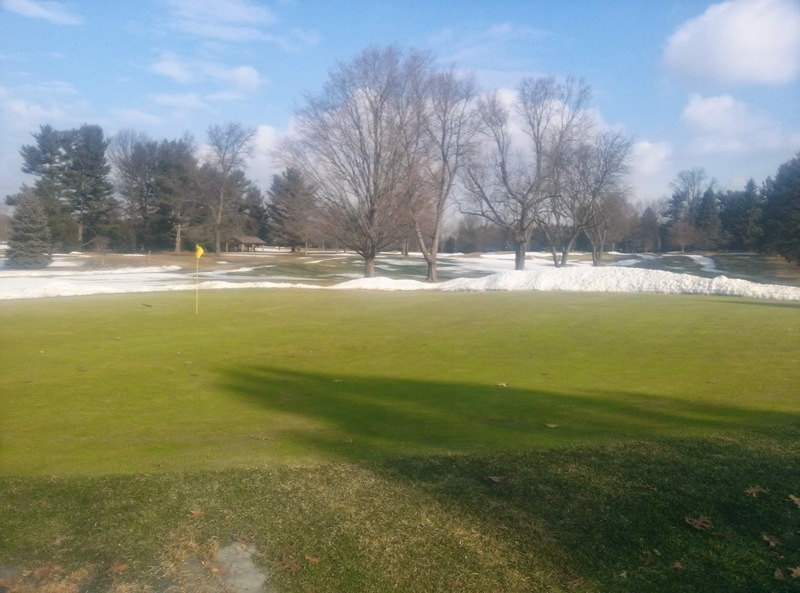 While we are not out of the woods yet and may have some repairs to do, we are not seeing widespread damage from the ice cover or exposing the turf to the frigid nights we had last week. Seeing good signs in these plugs helps justify our actions in the time consuming clearing the staff and I performed the last two weeks. 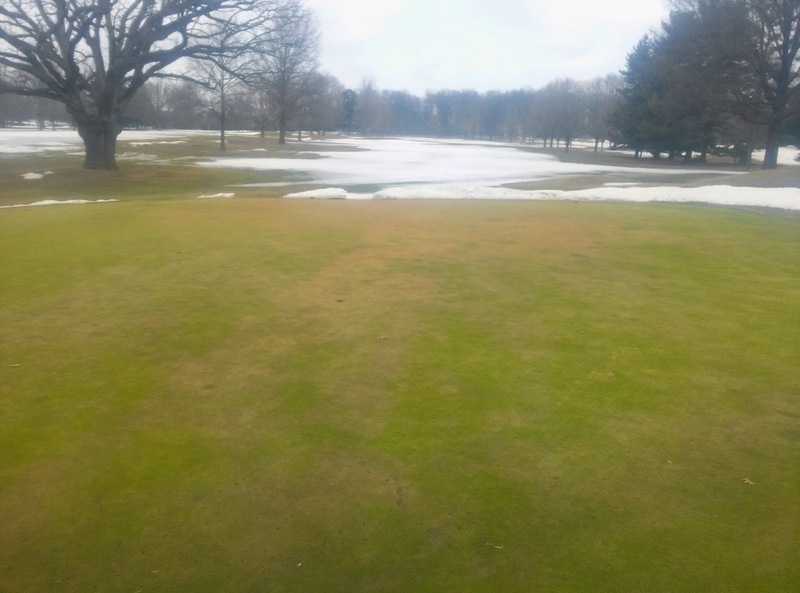 Our focus will shift now to ensuring any snow that melts during spring thaws is removed from the green surface so that it does not re-freeze. This would create crown hydration injury, where the plant rapidly takes up water during a thawing day, and when the temperature drops below freezing at night, freezes internally to the point that the crowns crush themselves, killing the plant. We have a plan in place to battle this, and any other scenarios that may come up. Overall, I am optimistic on the health of the golf course. Greg and his staff prepared the turf nicely ensuring it be the healthiest possible going into the bear that was our winter this year. At this point, we will continue to monitor conditions day by day. I am pleased with what I see so far, but as you all know, we still have some winter to go. Think Spring!